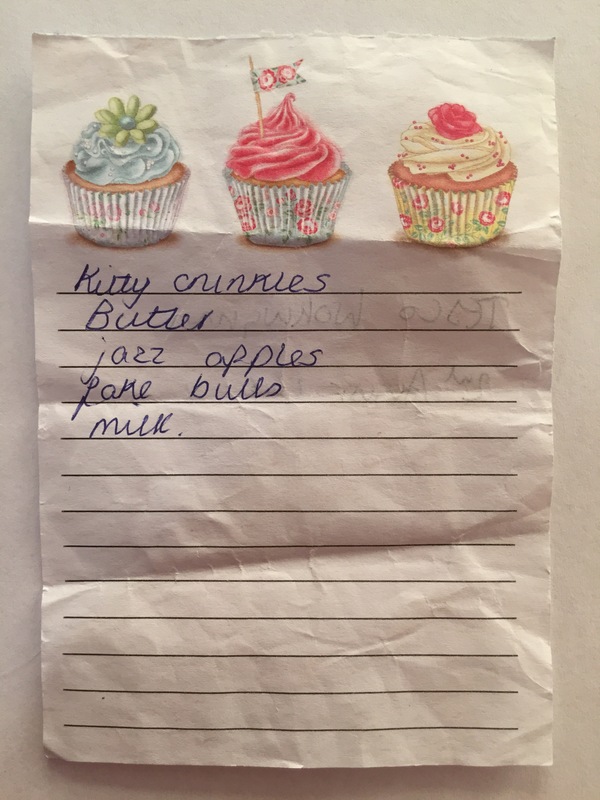 Kitty crinkles, butter, jazz apples, fake bulls, mik. Found by David, Tescos, Wokingham. I’m relieved it’s not genuine bulls! I presume they are own brand red bull drinks?